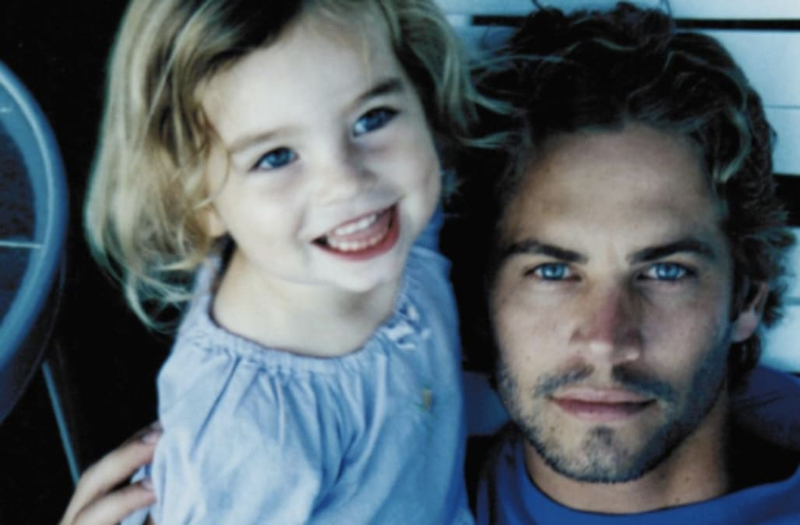 Meadow Walker, the daughter of late actor Paul Walker, is all grown up now! Meadow Walker is all grown up! The 18-year-old daughter of the late Paul Walker broke her year-long Instagram silence with a stunning solo photograph on Thursday. Meadow, who was only 14 when her dad died in 2013, looked gorgeous in the sunny, makeup-free selfie. The brunette beauty wore only a ribbed white tank top that showcased her model limbs and porcelain complexion. And it looks Paul's former "Fast & Furious" co-stars are still watching over his little angel. Tyrese Gibson, who starred in the hit franchise alongside Paul, took the time to write a sweet message on the photo: "Hello angel. Sending love and light. Happy holidays!!" From what we can see, Meadow won the gene jackpot and is the perfect combination of her father and mother, Rebecca Soteros. Since the death of the "Fast & Furious" star, Meadow has been doing incredible things to honor her father's legacy. She started the Paul Walker Foundation, a philanthropic organization that deals with environment issues. The foundation provides grants and scholarships to students and researchers pursuing marince science educations or working in the field. "Reflecting on my father, I found myself reflecting on his passions. His passion for the ocean, his passion for rescuing animals, his passion for helping people and his passion for spontaneous goodwill. I wanted to start this foundation because I want to share that piece of him with the world," Meadow wrote in an Instagram post announcing the foundation's launch. "I want to share that part of him with others. I am tremendously proud to be launching The #PaulWalkerFoundation (@paulwalkerfdn) on his birthday. I can't think of a better way to celebrate my father. #DoGood." Paul was a marine biology major in college, so environmental causes were incredibly important to him even before he became famous. Unsurprisingly, Meadow is also pursuing a modeling career. She recently signed with Women's Management in New York City. With her svelte figure and stunning features, we have no doubt that she will find major success on the catwalk.